Knee replacement surgery: What is involved? Home News	Knee replacement surgery: What is involved? A guide to exactly what happens and what to expect while undergoing a knee replacement surgery. The idea of surgery can be a bit intimidating to most people, especially if they haven’t undergone any type of surgery before. But knowledge is power, so if you have knee replacement surgery coming up, or you think it might be in your future, read on to find out a bit more about what to expect during this very common procedure. It may be reassuring to know that knee replacement surgery is a very commonly performed surgery. In fact, in Australia it is one of the most common joint replacement surgeries, second only to hip replacement surgery, and it can be an effective way to treat the pain, inflammation, and reduced movement that comes with problems such as arthritis of the knee. Osteoarthritis resulting in severe pain, joint deformity, and loss of mobility is the most common reason for a knee replacement. It usually isn’t until someone experiences knee problems and the pain associated with them that they realise just important the knee is for everyday activities. Without knee replacement surgery, many of the conditions that can be treated by the procedure will continue to get worse, resulting in not only pain, but loss of mobility and even disability. Knee replacement surgery involves replacing part of, or the whole diseased knee joint with a prosthetic partial or whole joint, and may be recommended if conservative treatments such as rest, exercises, physiotherapy, anti-inflammatory drugs, or steroid injections have failed to improve the condition. Immediately prior to the surgery (which can take between two and four hours depending on the complexity), the patient is given antibiotics to prevent infection, as well as anticoagulants (blood-thinners) to avoid blood clots. Other methods, such as compression stockings and / or foot pumps, are used during the procedure to further reduce the risk of clotting. Anaesthesia will be administered; either a general (where the patient is unconscious) or a spinal (this allows the patient to stay awake, but numb from the injection site down) anaesthetic will be used for the surgery. The incision itself is quite long, up to 30cm from above the kneecap to below, and surrounding muscle is moved to expose the knee joint, which is then removed by cutting the tibia (shinbone) and femur (thighbone). Next, the prosthetic joint is secured into place using special bone cement. 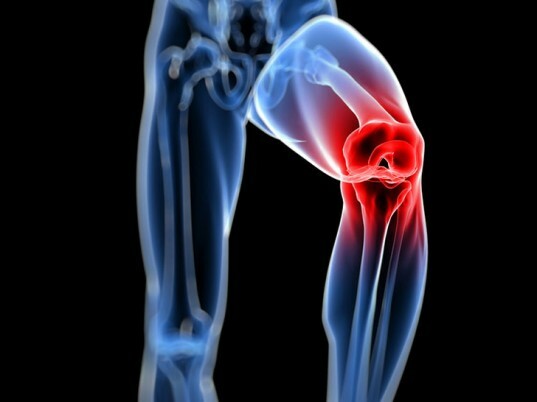 The patella (kneecap) can also be replaced if necessary. The ligaments are muscles of the knee are arranged back into place around the new joint, and a drainage tube is inserted to collect any excess fluid from the wound before it is sutured shut. Following surgery, anticoagulants and antibiotics will continue to be administered to avoid complications such as blood clots (moving the feet can also help) and infection, and strong pain relief medications can be given via drip. Getting up and walking around is encouraged on the second day following the surgery, and physiotherapists will demonstrate exercises necessary for regaining strength and mobility during recovery. As with any type of surgery, complications such as blood clots, infection (of the wound, or deeper in the joint), and nerve damage can occur, although they’re rare. Without any complications, patients are usually home within 7-10 days, with stitches coming out around day 10. Recovery time from knee replacement surgery depends on the extent of surgery performed, though it usually takes around three months to feel back to normal. It may be necessary to wear a knee brace or use crutches during recovery, and modify activities to accommodate the recovering joint.